Host Shorecrest, Kamiak, Shoreline Christian, and special guest, Sitka High School. 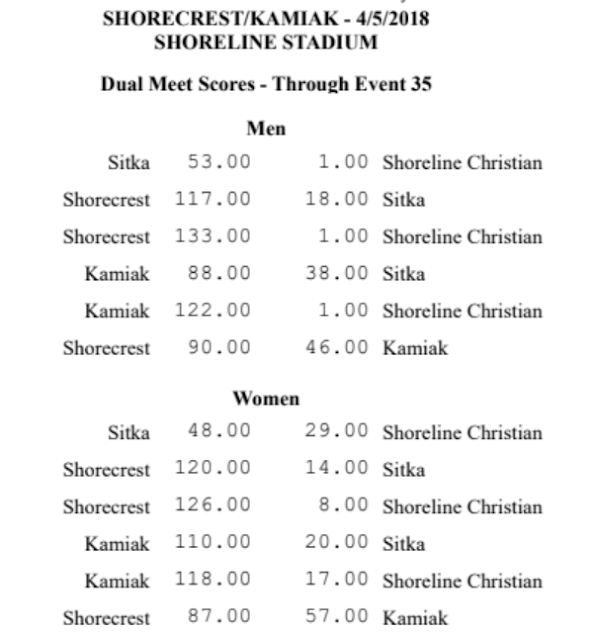 Sitka is competing this Saturday at an invitational in Bellingham. They asked if they could join our Thursday meet as part of their trip/journey. They have not competed in a meet yet this year because it’s too cold in Sitka.